In India, Cancer problem is increasing day by day & in this problem, people are loosing their full hair of whole body with effect of chemotherapy. 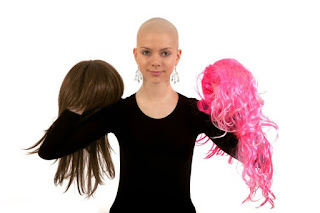 Now Wig Shop is providing the wigs to those people whom they suffering from cancer. A wide collection of wigs are available at our Wig Shop for Cancer Patients in Delhi. Cancer patients can easily wear this wig in whole day & In the night they can easily plunge the wig from their head. We have the wigs for alopecia patients also. We are a leading manufacturer of all type of wigs with different 2 colors & shades. We are having a seprate 2 section for wigs like- Human Hair Wigs, Mens Wigs, Girlish Wig, Stylish Wig, Long Front Wig, Women Wig, Wigs for Alopecia Patients, Wigs for Cancer Patients, Brown wig, Soft n Silky Wig in Delhi. Customer can come at our Wig Shop in Delhi & select their own design & for outdoor cancer patients can contact with us by phone then we will provide the wig thru courier. .
Human Hair Wigs:- If you want a natural look then you choose this wig, but its is expensive.